When one walks into Masa 14 the space seems to be equal parts restaurant and night club. Every time I have been in the place is packed, the music and conversation is loud, the décor is trendy and the patrons are well-healed. At places like this food is often an afterthought , taking a backseat the beautiful and the boozy. 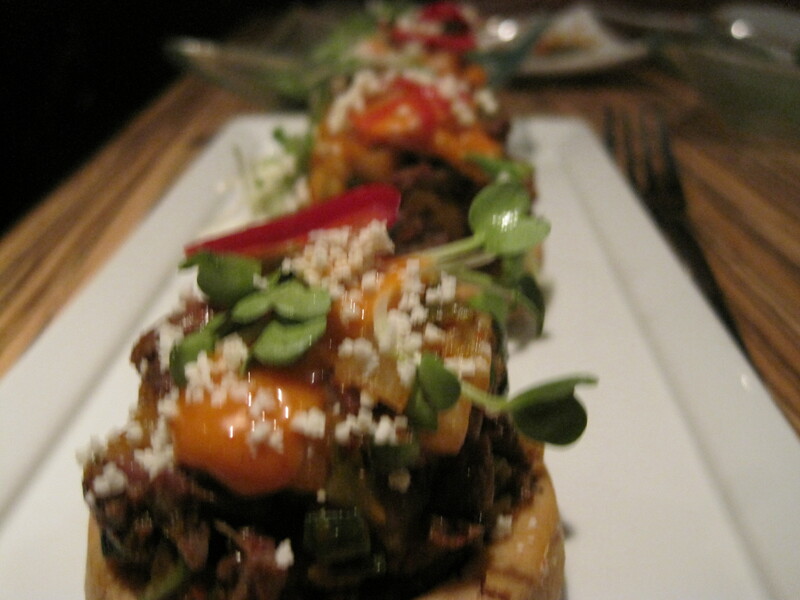 This is not however, the case at Masa 14, where the Latin-Asian fusion plates are routinely delicious. 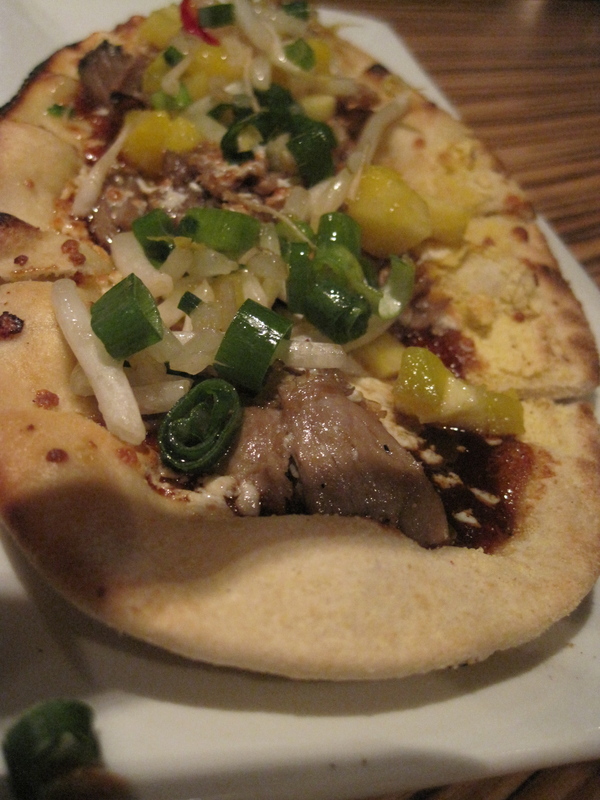 On a recent visit we started with the peking duck flatbread, a tangle of duck confit, mango, and cojita cheese all drizzled with BBQ sauce on warm bread. The combination of East, West, salty and sweet made for a tasty concoction. 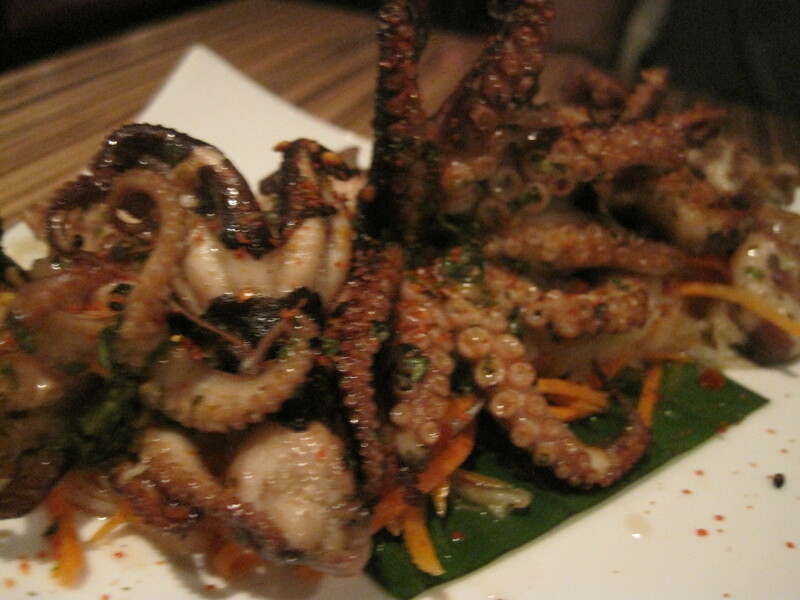 Our grilled baby octopus was served in a chimichurri sauce with pickled vegetables. Interestingly Masa leaves the heads on, they have a odd squishy texture but the dish as a whole is worthwhile. My favorite dish to hit the table so far is the bulgulgi sopes, a Korea meets Mexico dish in which little fried corn cakes are topped with bbq skirt steak, kimchi , apple and cojita cheese. They are addicting little tidbits, that I would have been happy to receive another plate of. Surprisingly the disappointment of the evening came in our glasses. Their signature sangria tasted watered down and like someone had forgotten to add the alcohol. Next time I will stick to one of their 500 tequilas. sounds delicious! more latin-asian fusion places are popping up all over the place and i’m loving it!